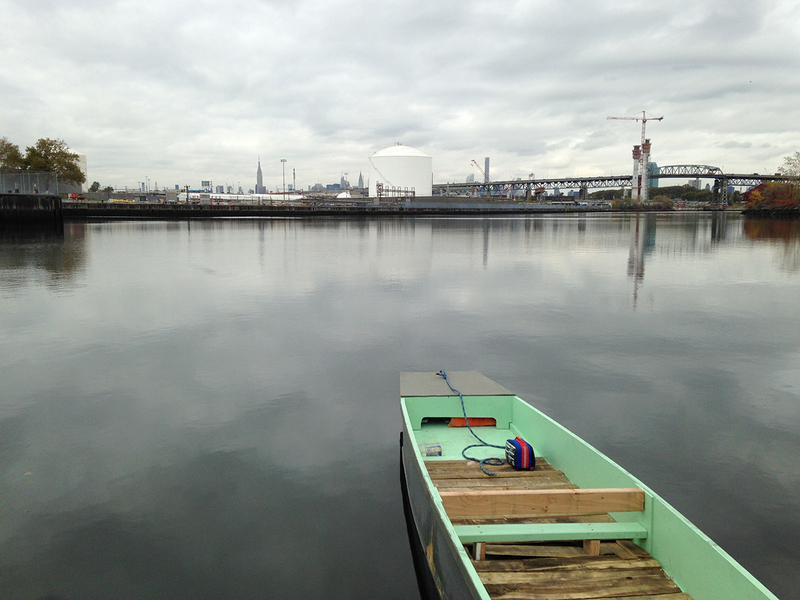 On a light gray day last October, I donned a pair of oversize galoshes and life jacket, picked up a paddle, climbed into a rowboat, and set out on Newtown Creek. My four companions and I (split among two boats) didn’t have a set destination or an especially specific purpose. We were there to experience the creek — to get a more personal, human-scaled view of one of the most polluted waterways in the country. 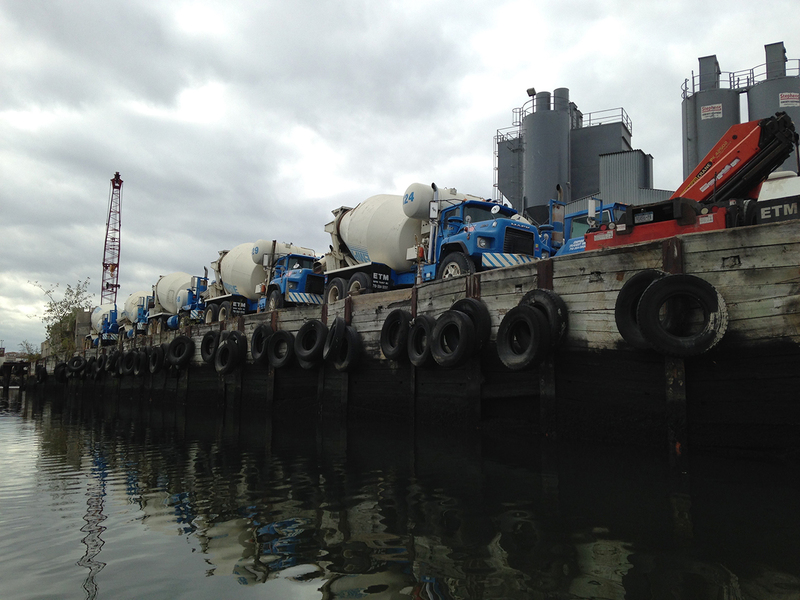 A Superfund site is a highly contaminated, hazardous location that the Environmental Protection Agency has placed on its National Priorities List for investigation and potential cleanup. Newtown Creek is New York City’s second Superfund site (designated as such after the Gowanus Canal and before Wolff-Alport) and one of some 1,323 Superfund sites across the United States. A tributary of the East River, the 3.8-mile-long waterway forms part of the border between Brooklyn and Queens. It once flowed freely through marshes and wetlands, but as early as the 19th century, government and industrial interests began walling it in and turning it heavily commercial — petrochemical plants, glue factories, lumber yards, and more than 50 oil refineries settled in along its shores. In 1856, New York City began dumping raw sewage into the creek. Today, the water in Newtown is highly toxic and largely stagnant; a 15-foot layer of sludge and slime sits on its bed, and a chunk of the city’s sewage still ends up in the creek thanks to an old system that, when storms occur, flushes overflows of combined rainwater and untreated sewage into the city’s waterways. There’s also an urban legend that, whether or not it’s true, is certainly symbolic: a layer of MetroCards has allegedly formed at the bottom of the creek, built up from people discarding theirs through sewer grates. We did not see any MetroCards, a circumstance that almost disappointed me. In fact, for a while, we saw very little that suggested we were dipping our paddles into — and spraying ourselves with — water so contaminated you probably don’t need to touch it to contract cancer. 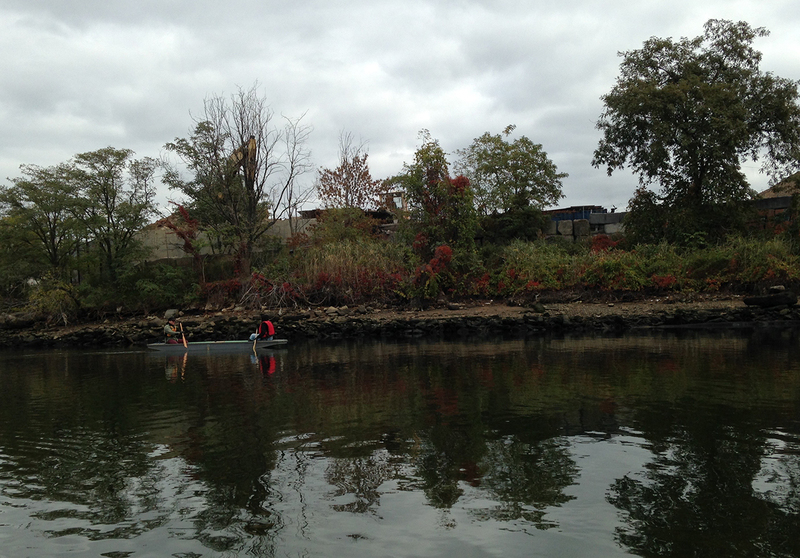 Having entered the creek from a small rocky shore at Plank Road, we first rowed north, led by artist Dylan Gauthier, who was interviewing eco-artist Aviva Rahmani in one boat while I rode along with artist Jean Barberis and an architect named Karen in the other. The water was — if not quite clear, not thick and black either. Something murky and reflective. It was only when we turned around and began heading south, passing under Grand Street and eventually approaching a snaking, flimsy-looking barrier, that we began seeing objects: a discarded bottle here, a plastic bag there, tangible signs of the pollution all around us. But there were, improbably, signs of life too. Just above that floating bottle marched a line of plants and wildflowers, green and yellow shoots and buds springing obstinately from the crumbling cement blocks. 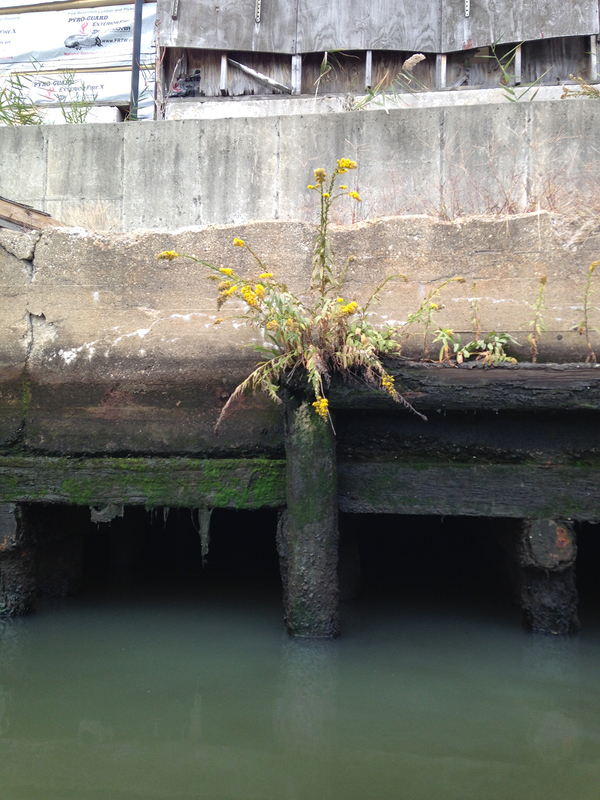 If it’s hard to see, with the naked eye, Newtown’s Superfund status, it’s easy to smell it. The sour odor is omnipresent, infiltrating your nostrils (and clothes) the moment you approach the shore and, while it may occasionally fade, it never completely disappears. Yet what I found most anomalous about being out on Newtown Creek was how not anomalous it felt. It inspired a kind of cognitive dissonance: One part of my brain studied the reflection of plants in the water and thought how lovely it was to be in nature. Another part processed the factories and tires that lined the water and reminded me I was gliding over the slick surface of a piece of nature humans had destroyed. Singer is the creator of a website, Toxic Sites US, that uses open-source data to map, document, tell stories about, and generally break down into manageable bits of information the country’s 1,300-plus Superfund sites. 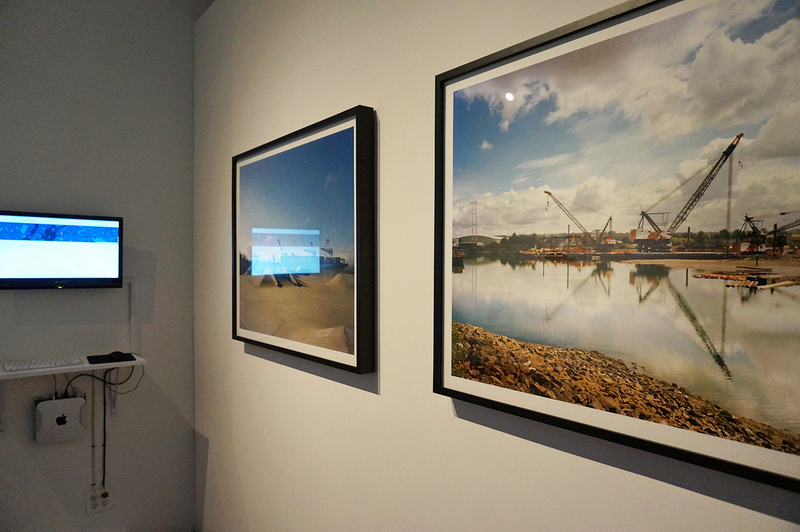 A computer hosting the website, as well as some of Singer’s photographs and documents from her research on Superfund sites, are on view now at the International Studio & Curatorial Program (ISCP), as part of the exhibition Aqueous Earth. 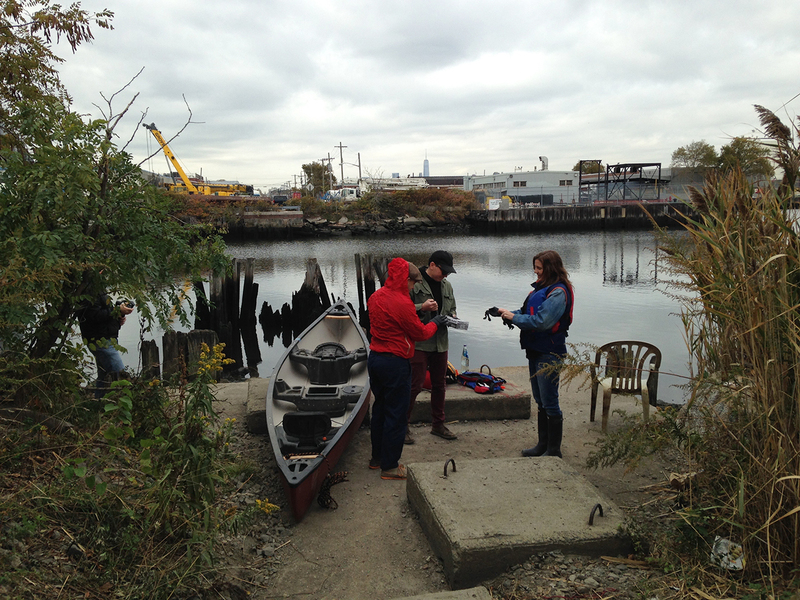 It was also through Aqueous Earth that I ended up riding on Newtown Creek with Gauthier, who organized nine trips — plus two boat-building workshops — as vehicles for conversations with artists about their ecological work. The show highlights a total of six artists dealing with “the state of water in the Anthropocene era,” in the words of curator Kari Conte (also ISCP’s director of programs and exhibitions). That state, if we take the exhibition as our indicator, is dire. 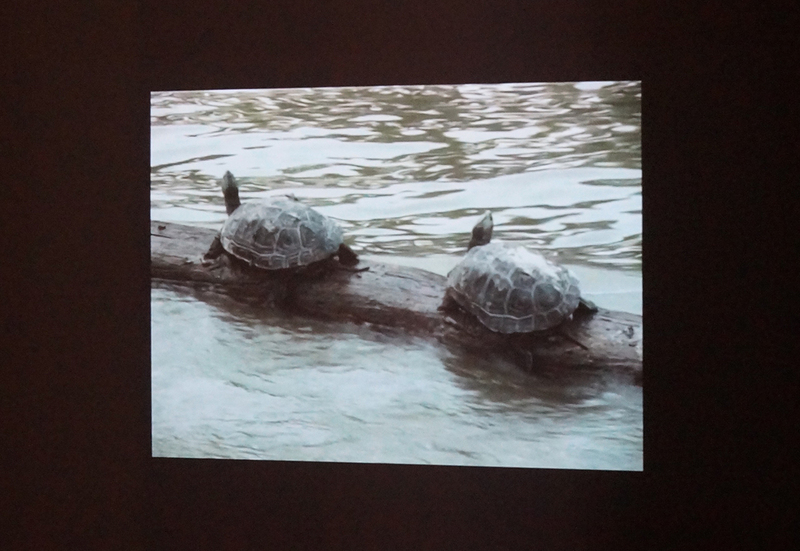 Just ask Allora & Calzadilla‘s turtles. The video “Amphibious (Login-Logout)” (2005) shows six of them sitting on a log and floating down China’s Pearl River, watching the incursion of development and industry as they go. As dilapidated houses on stilts give way to towering high-rise apartment blocks, the artists return again and again to the turtles, who seem to absorb it all in studious silence. There’s a curious lack of urgency to the video, perhaps in part because of the nature of its protagonists. But the piece was also shot in 2005, making it the oldest work in the show, and I’d wager that the average citizen is today more aware of and concerned about how thoroughly we’ve damaged the environment than a decade ago. Indeed, as we move into the present day, the tenor of the artistic encounters with nature here becomes higher-pitched. Consider the contributions of Brandon Ballengée, for instance. 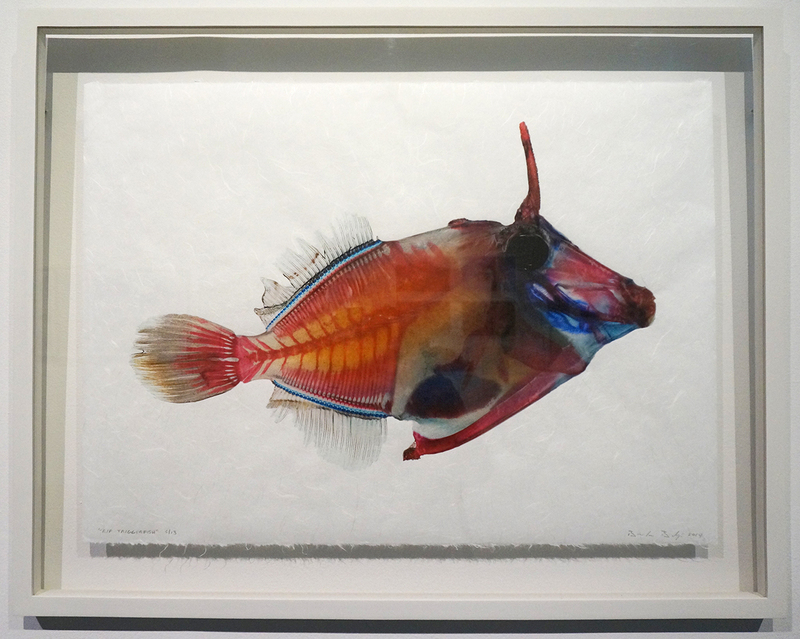 To create his Ghosts of the Gulf (2014) prints, five of which are on view, the artist collected dead fish and rays from the zone of the 2010 Deepwater Horizon oil spill. He used an acidic solution to disintegrate their tissue and then stained the parts left over in bright colors like red, blue, orange, pink, and turquoise. Ballengée has a unique talent for giving dead or inanimate animals an affective presence, and here the colors bring the lost creatures to life; they seem to want to speak and tell us their stories. Whereas Ballengée’s creatures hover between life and death, Pinar Yoldas’s creations flit between reality and artifice. For her project “An Ecosystem of Excess” (2015), the artist imagined a whole network of creatures that have adapted to and been born from the Great Pacific Garbage Patch. Two of those, called P-plastoceptors, float in glowing cylindrical tanks at ISCP like true science fiction. One spindly, the other evocative of a flowering human heart, they’re connected by way of wires that feed into the tanks and become tentacles. 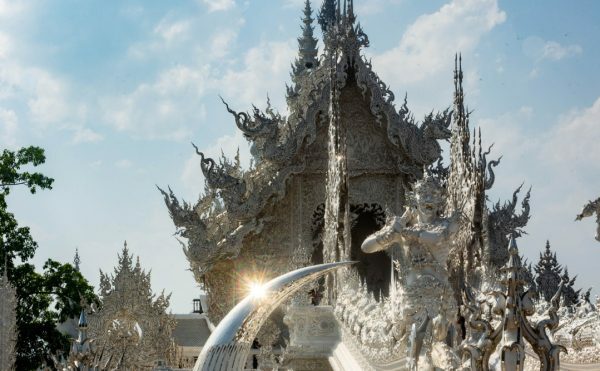 What is natural here and what is manmade? Can we tell the difference anymore? Is there one? 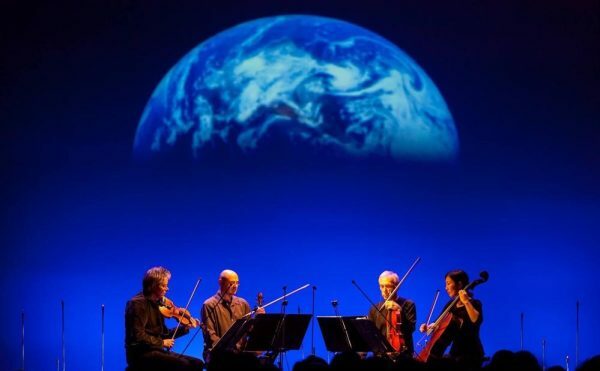 Superfund sites, dead fish, plastic in the ocean — Aqueous Earth is, in many ways, a fittingly dark and depressing show. 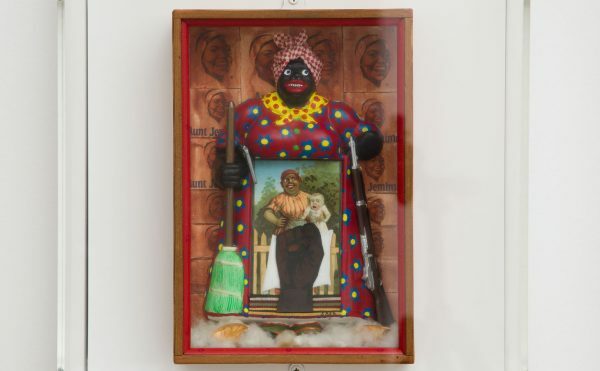 But a strange sort of optimism does seep in, most notably in Lara Almarcegui‘s contribution, “Guide to the Wastelands of Flushing River, Queens, New York City” (2010). 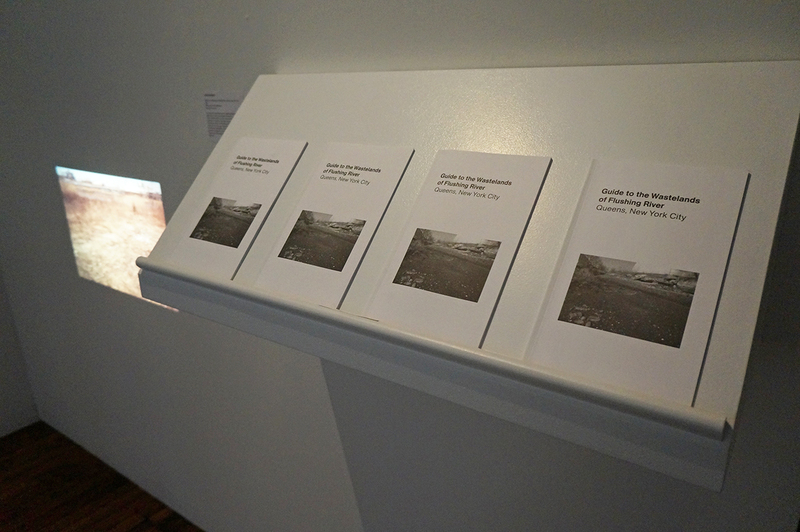 For this project, Almarcegui followed a blueprint she’s developed for engaging with empty and abandoned sites: she identifies, visits, and researches them, takes photographs (presented in a slide show), and compiles a guidebook. The sites in this case are 12 spots along the Flushing River, formerly thriving natural environments that are now degraded and shot through with highways, lumber yards, and parking lots. Almarcegui’s tone, however, is not one of alarm or even condemnation; the photos and guide are calm, observational, matter-of-fact. Because while it’s undeniably bad that the wetlands have become wastelands, she’s also able to see the preciousness and possibility of these now forgotten spaces. “They are great empty gaps, neither natural area nor industrial space, park or garden,” she writes in the guide. “These places are among the few in the city not subject to any design or used for any particular purpose. Because they have been left alone, natural processes of decay and transition can be observed in them. They are in-between places where almost anything is possible, where time seems to have stopped. Independent of the rhythm of the city, they offer a relief for vegetation and for visitors, though perhaps not for much longer.” Anyone who’s ever ducked down the path to Dead Horse Bay or gone out for a boat ride on Newtown Creek will understand the truth of these words, as well as the power of these experiences. Standing in a place where it feels as though time — “progress,” the unrelenting march of human expansion — has stopped affords you the perspective to consider the right way forward. 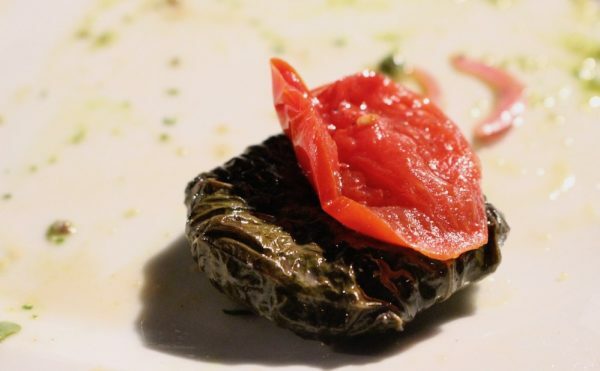 “We are living in a time when we really need to define what nature is,” Yoldas told Guernica last fall. “We have these images of nature that are also false. Eco-futurism is an attempt to better understand nature in order build a new culture that has more to offer.” We have ruined our water, yes, but maybe now, just maybe, we have the chance to repair it. 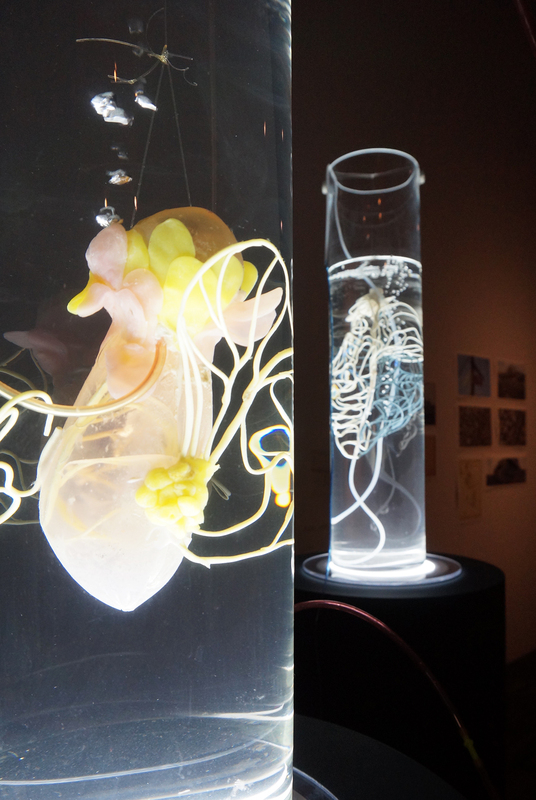 Aqueous Earth continues at ISCP (1040 Metropolitan Avenue, East Williamsburg, Brooklyn) through January 22.